Although this links to a newspaper article, I chose to place this in this category since he is also a notable author. The title is a compelling metaphor for anyone's life. Kittens, sometimes we run across something that is so beautifully written, that it begs to be shared. 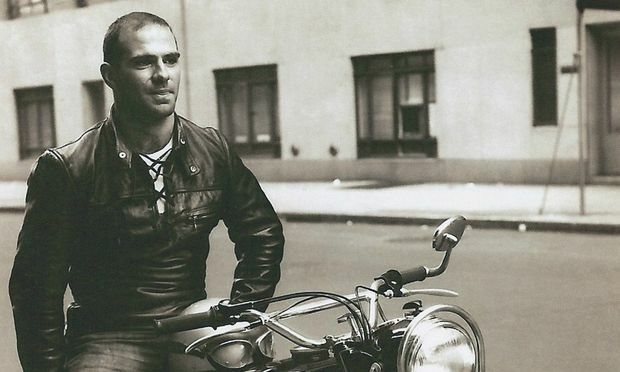 No matter your beliefs, or your life experiences, this NYT Opinion written by Dr. Oliver Sacks, the celebrated neurologist, upon pondering his mortality in the wake of the most definitive diagnosis of terminal cancer, is such a moving personal story, with his thoughts and observations about one's place in the Universe, one's journey through the River of Time. His life has made a substantial difference for so many people. I put it here simply to share, for those of you who ponder the meaning of life, and consider what matters the most. The comments from the readers of the New York Times are written with such depth of feeling and insight that I cannot begin to come close to add anything more moving. The article and the comments are like a treasure chest of introspection on the most difficult of topics—mortality. His writing here is close to perfection, and it makes me immediately want to seek out his books. I'm glad you shared this @Qitkat . I thought it was wonderful. That was beautiful. I can only hope that when my time comes I can face death with as much grace and dignity as he does. @Qitkat, thank you so much for posting this! When he praised the “vitality" and "inquisitive nature" of those little lemurs, I teared up – because those are words I’d choose to describe Dr. Sacks himself. In my mind, I associate him with Bill Cunningham, the NY Times fashion photographer! Both are not only vital and inquisitive, but humble and compassionate and blessed with a unique vision. AND an uncommon ability to share all of it with us. There’s a Buddhist teaching that says, in part, “...suffuse all your world with affectionate thoughts...limitless and free from hate.” This isn’t some ginned-up ‘emotion,’ which one either feels or doesn't feel. It’s a choice, and the choice is always, always available to us: to look at people and places and things and events with softer eyes. It really gives me a shot of energy and cheer to read Oliver Sacks...he shows by example what it looks like for a human being to actually live that way! There was a nice piece and interview with him on the latest episode of Radiolab on public radio. He's been on frequently and it was both funny and moving as they acknowledged it might be his last appearance on the show. That was really beautiful. As someone who love the periodic table, I am enthralled about having an element for each birthday. I too love to lookup at the sky and just smile. Beautiful article! I've enjoyed Sacks' work for years, whether he's talking about unusual case-histories in An Anthropologist on Mars, his travels in search of ferns in Oaxaca Journal, or his recollections of his youthful experiments in chemistry in Uncle Tungsten (which includes some of the tidbits mentioned in the article). BBC Radio 4 did an abridgement of his life story recently and its available on the BBC R4 Extra website. Thank you Qitkat, that was a beautiful, wise piece. I get such a sense of how he's loved life and he's coming to terms with not being here. I hope he gets another remission. He died today, August 30, 2015, at the age of 82 after his battle with cancer. Brilliant, compassionate man; gifted writer; chronicler of unique and strange elements of human life, while remaining joyful and positive and curious until the end. "I cannot pretend I am without fear," he wrote. "But my predominant feeling is one of gratitude. I have loved and been loved; I have been given much and I have given something in return; I have read and traveled and thought and written. ... Above all, I have been a sentient being, a thinking animal, on this beautiful planet, and that in itself has been an enormous privilege and adventure." Also - very attractive in his younger days! Such an interesting man. @Qitkat Your writing, and that quote, are a lovely tribute to Dr. Sacks! When I heard the news this morning I immediately thought of this thread, and was so glad to have read that link you'd posted. Thank you. Also: Just last week I watched a documentary on Netflix called Alive Inside, about the use of music to help people with Alzheimer's/dementia. I hadn't known in advance that Oliver Sacks appears several times in this doc, so when he popped up I was so surprised and pleased – and at the same time, knowing of his quickly-failing health, sad. I've already written my thoughts above...he was a beautiful soul. I wish he could have been my gay uncle. He seems like he would have been a hoot to know.